AddTo Italy is available. Go, see, conquer! 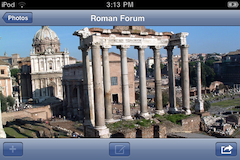 AddTo Italy is now available for the iPhone, iPad and iPod Touch. You can find it here. See all the great sites of Florence, Venice and Rome! 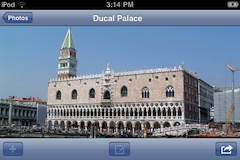 Take or select photos, type out notes and allow location to have them remember where you were when you created them. These photos and notes will appear on your own map, so you can see where you were and what you thought. AddTo automatically builds this map for you with annotations to connect you to your observations. The data in your AddTo travel diary is yours, including the generated map. AddTo lets you email any or all of your notes, photos or maps. See why tourists flock to Italy. Record your own travel experiences. Feel the flow of civilization that Italy offered to the world, like a clock for all humanity to synchronize to.